Now more than ever, being in control of your online business reputation is critical to your business success. Explore your weaknesses: We prepare strategies to combat possible attacks on the weaknesses of your products, services or the structure of your organization. Is there something about your company that you are trying to cover up? By being honest with us, our efforts for your online reputation management are easier to handle. 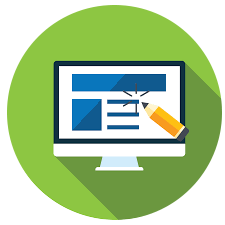 Choose and create a blog for your company: You may already have your own website but a separate blog ensures that people talk about it in a positive way. We will create and post content from product descriptions to positive reviews. Registering this blog to a collection of industry recognized blogs offers a better chance of reaching your target market. Enhance your social media presence: We can push reputation building campaigns like product introductions, promos and video marketing to the millions of social media visitors. Build a good Google presence: Google is one of the most powerful search engines available. We will ensure that your content is in compliance with Google standards. Regularly monitor your reputation: We will vigilantly watch over the name of your company, monitor what is said about you and provide detailed reports. Call us today at 888-843-9840 to discuss your company’s specific reputation management goals.